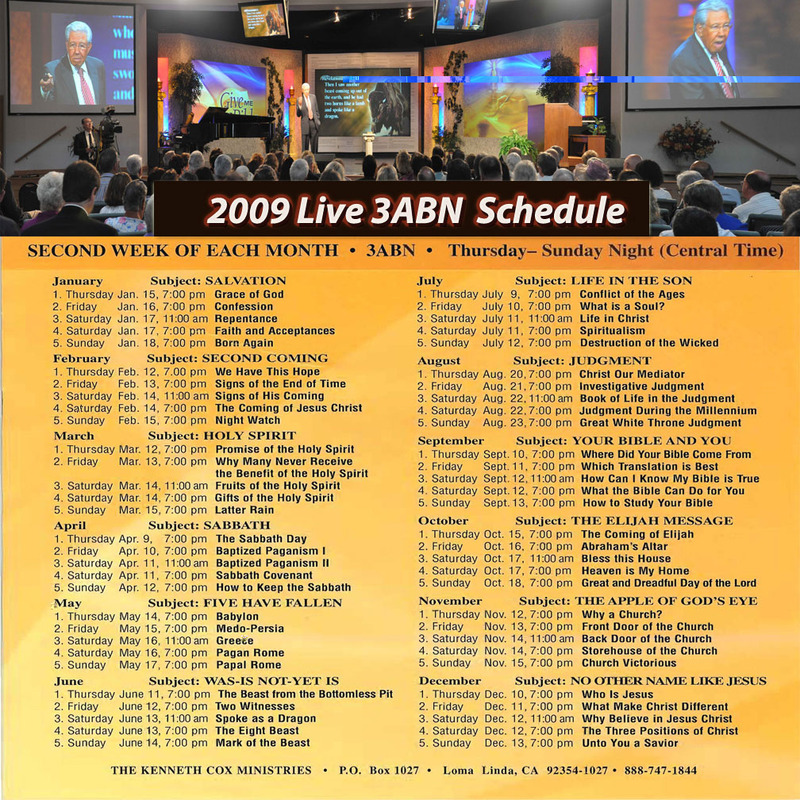 This is by no means a complete list just the ones that we are personally aware of. 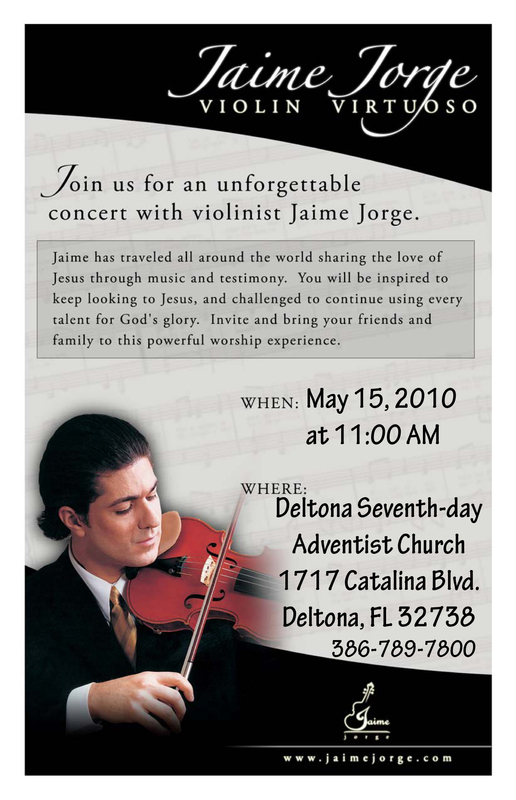 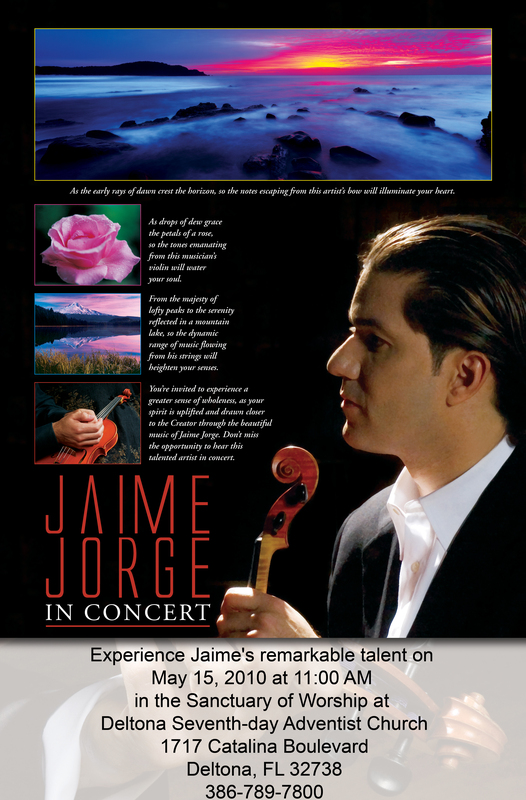 2010-05-15 - Jaime Jorge at Deltona SDA Church for the Worship Service. 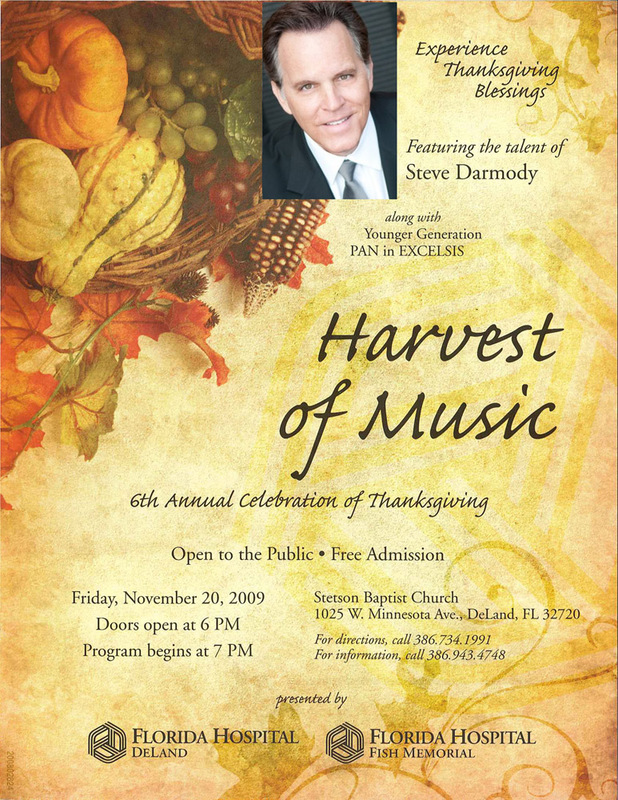 2009-12-12 - 7PM Christmas Cantata - “Everything Glorious" at the Daytona Beach SDA Church 401 North Williamson Blvd. 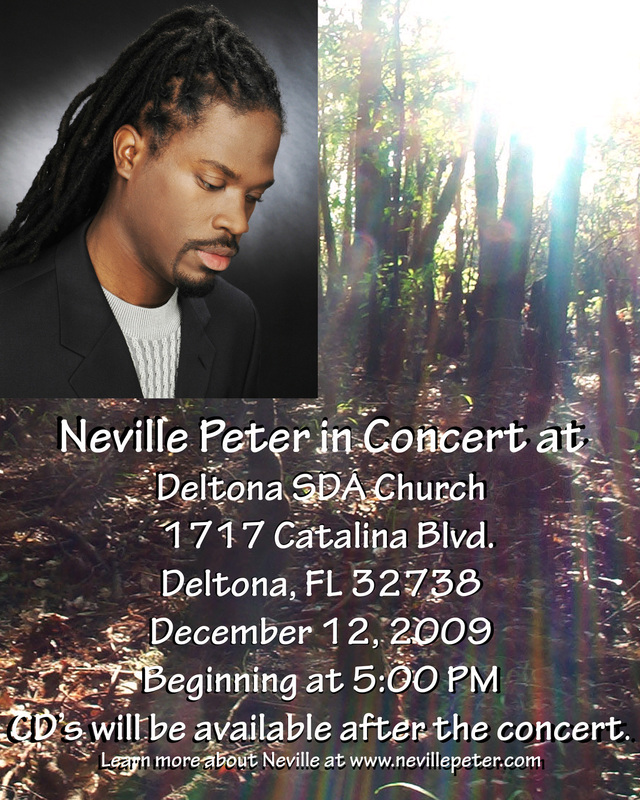 2009-12-12 - Neville Peter at Deltona SDA Church for Special Music at Worship Service and a Vespers Concert.